Christian Emeka Okoye was born on the 16th August 1961, in Enugu, Nigeria, and is a former American Football player, who played for the Kaiser City Chiefs of the National Football League(NFL). His football career was active from 1987 until 1992. Have you ever wondered how rich Christian Okoye is, as of mid-2016? According to authoritative sources, it has been estimated that Christian Okoye`s net worth is as high as $2 million, with the main source of this amount being his professional career as a football player, however, after his retirement, Christian ventured into business, which also improved his net worth. Christian didn`t play football until he was 23 years old, and in college; he attended the Azusa Pacific University in California, where he also competed in track and field. At first, he thought football was boring, however, his college friends convinced him to continue playing,, and his talent led to the 1987 NFL Draft, in which he was selected as the 35th pick overall by the Kansas City Chiefs. In his first season, Christian played in 12 games, rushing for 660 yards from 157 carries, and the next season he played in only nine games as he broke his thumb, but recorded 473 yards from 105 carries. The next season was the best of his career; he had 1,480 from 370 carries, and 12 touchdowns. Since then, his game statistics went into decline as he suffered a knee injury, which eventually forced him to retire. In 1991 he had a 1,000+ rushing yard season, with 1,031 yards, and he also scored nine touchdowns. In his last season, Christian played in 15 games, but had only 144 carries and 448 rushing yards, and after the end of the season he decided to retire. He had amassed 4,897 rushing yards, and 40 touchdowns in his career. For a time, he was the Chiefs rushing leader, however, his record was broken by Pries Holmes. During his short, but quite successful career, Christian won several prestigious awards, and recognitions for his accomplishments, including UPI AFC Offensive Player of the Year in 1989, the same year he was the NFL rushing yards leader, earned his first Pro-Bowl appearance, and was also selected for the First-team All-Pro. In 1991, he earned his second Pro-Bowl appearance. As the hallmark of his career, Okoye was inducted into the Chiefs Hall of Fame in 2000. Following his retirement, Christian started several business ventures, including investing in the Golden Baseball League. Furthermore, he founded Okoye Health and Fitness, which sells nutritional supplements. Christian is also the president of California Football Hall Of Fame. 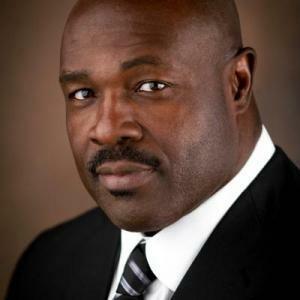 Christian is also recognized as humanitarian, starting the Christian Okoye Foundation, which focuses on helping kids find their area of interests, and develop the skills needed for their particular area of interest. When it comes to speak about his personal life, Christian Okoye has been married to Lauren, with whom he has two daughters and a son. In his free time, he enjoys jogging, watching movies, traveling and playing golf, among other hobbies. 1 Did not play organized football until he was 23 years old.